Thank you to ACUVUE® Brand, for partnering with me on this post, and for covering my eye exam and initial supply of lenses. Little known fact: I’ve been wearing contacts since the 6th grade. I couldn’t wear glasses for figure skating since my glasses could fly off at any moment while spinning (little known fact #2: I figure skated for 8 years), so I pretty much jumped from nothing to contacts during elementary school. In the years (and decades) since, I never once asked my optometrist for options or wondered if there was another product out there for me. Until now! ACUVUE® Brand reached out to me to try their latest ACUVUE® VITA® Brand Contact Lenses and after wearing them for over two months, my eyes are wide open (and happy!). I’m so excited to finally share my experience. Did you know that different brands and product lines of contact lenses exist? I was one of those patients who never questioned the lens that was handed to me and never asked things like: what other options do I have? Which brand or product will be best for me? Which ones provide UV protection? Which ones will provide more hydration? Which ones will provide more oxygen to my eye? And I didn’t understand how uncomfortable my old lenses were until I tried my newest ones – plus by asking these questions I learned so much as a result. 7:00am | I am absolutely not a morning person (little known fact #3, ha!) so by 7:00am I’ve managed to check my emails in bed and I’ve barely made my way into the bathroom to get started on my day. 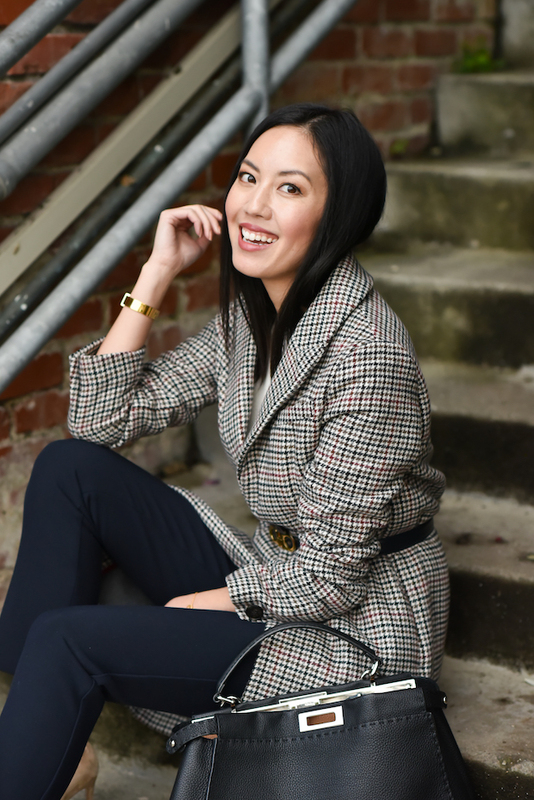 I’m reminded every morning when I put my ACUVUE® VITA® lenses in that I just love how they feel on – such a difference from my previous lens. 8:00am | By now, we’ve hustled Lucia out of bed, gotten her dressed and working on her breakfast. 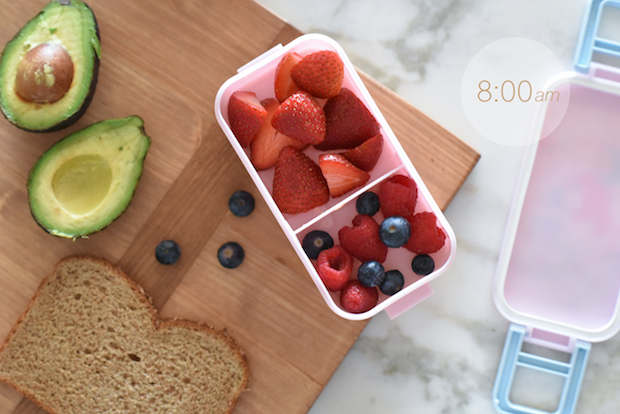 My husband and I trade morning duties – one of us packs her lunch and the other takes her to school. We have been doing sandwiches nearly every day but after coming back from Japan her new favorite lunch is soup. Today it’s back to the good old reliable sandwich and fruit. 8:45am | It’s safe to say that by 8:45am on any given morning I am at my desk and working (and working on my first coffee too). I make my to-do list for the day (it’s a necessary ritual that is equal parts calming and stressful, ha!). I organize my day by prioritizing the tasks on that list. By mid-morning I’ll pack up for a quick few hours in the San Francisco office where I work. Getting in face-time with the team and learning the ropes – I’m so proud to be working for a female entrepreneur who inspires me! 8:30pm | After an afternoon with Lucia, cooking and cleaning up dinner, we play a game and start Lucia’s bedtime routine. When she stopped napping we were finally able to get her in bed by 7:30 or 8pm – a goodnight kiss and we close the door. It has been life-changing compared to the infant/toddler days! Once she’s in bed I get started on my blog work for the night. 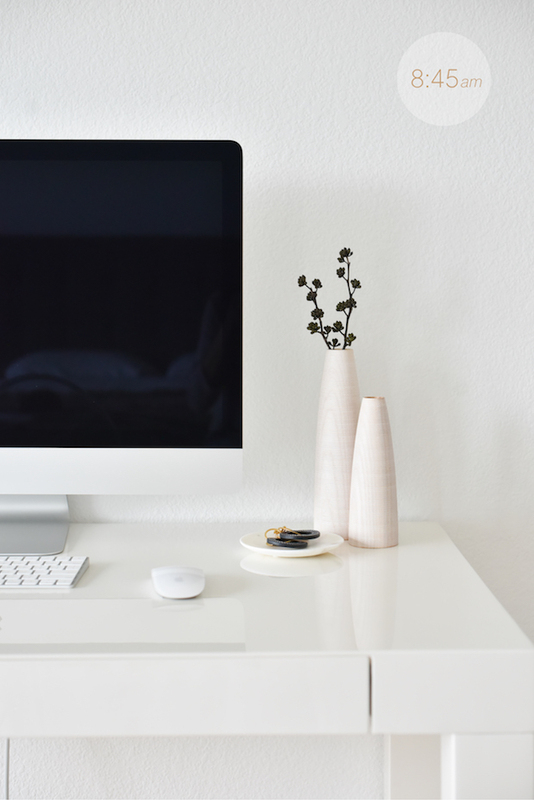 I’ve spent years blogging solely at night, and I can’t break that habit even as my schedule has become more flexible. Burning the midnight oil, as they say. Nowadays I have time to catch a show before calling it a night a little after midnight – and thanks to my ACUVUE® VITA®, my eyes still feel great after the long day. The best feeling is not feeling them when I’m finally sitting down to unwind! That’s it for my day – just rinse and repeat for the next! The exciting part about my “new normal:” I was 30 days into my monthly contacts and they still felt like brand new lenses. Comfortable and clear. I loved working on this post and hope you enjoyed it. Thank you to ACUVUE® VITA® for partnering with me and for helping me #DitchDiscomfort. Hope you have a wonderful day! † Helps protect against transition of harmful UV radiation to the cornea & into the eye. WARNING: UV-absorbing contact lenses are NOT substitutes for protective UV-absorbing eyewear such as UV-absorbing goggles or sunglasses because they do not completely cover the eye and surrounding area. You should continue to use UV-absorbing eyewear as directed. NOTE: Long-term exposure to UV radiation is one of the risk factors associated with cataracts. Exposure is based on a number of factors such as environmental conditions (altitude, geography, cloud cover) and personal factors (extent and nature of outdoor activities). UV-blocking contact lenses help provide protection against harmful UV radiation. However, clinical studies have not been done to demonstrate that wearing UV-blocking contact lenses reduces the risk of developing cataracts or other eye disorders. Consult your eye care practitioner for more information. 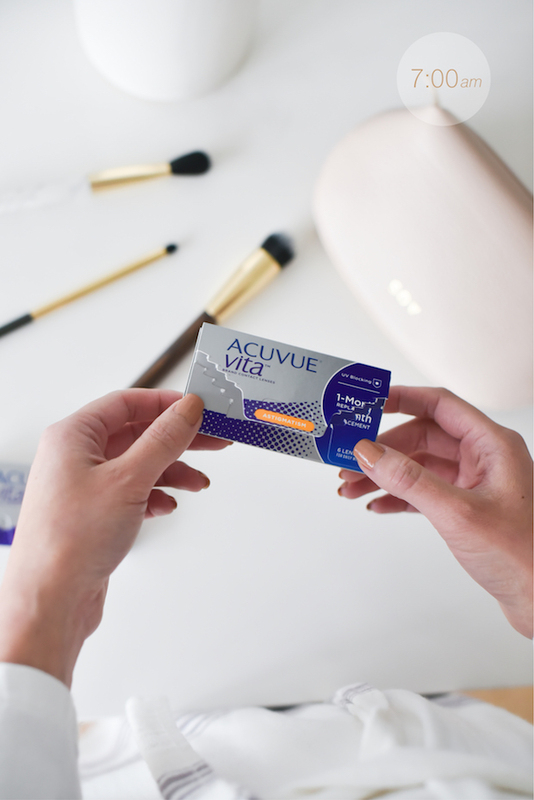 Important Information for contact lens wearers: ACUVUE ® VITA® Brand Contact Lenses are only available by prescription for vision correction as a daily wear lens with one-month recommended replacement. An eye care professional will determine whether contact lenses are right for you. Although rare, serious eye problems can develop while wearing contact lenses. To help avoid these problems, follow the wear and replacement schedule and the lens care instructions provided by your doctor. Do not wear contact lenses if you have an eye infection, or experience eye discomfort, excessive tearing, vision changes, redness or other eye problems. If one of these conditions occurs, contact your eye doctor immediately. For more information on proper wear, care and safety, talk to your eye care professional and ask for a Patient Instruction Guide, call 1-800- 843-2020 or visit www.acuvue.com. ACUVUE®, ACUVUE® VITA®, and HydraMax™ are trademarks of Johnson & Johnson Vision Care, Inc.
You look perfect! Thanks for inspiration! 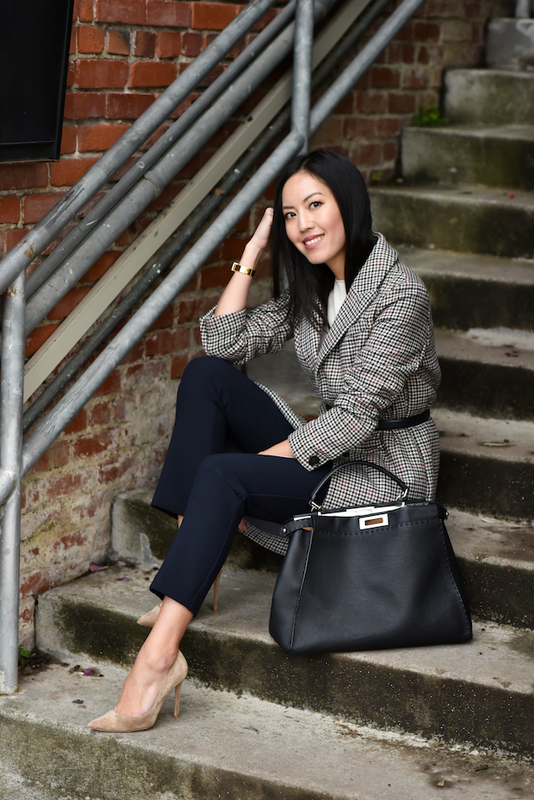 Loved the idea of this post and finding out more about your daily life/ life behind those outfits. 🙂 Thank you for sharing and inspiring! 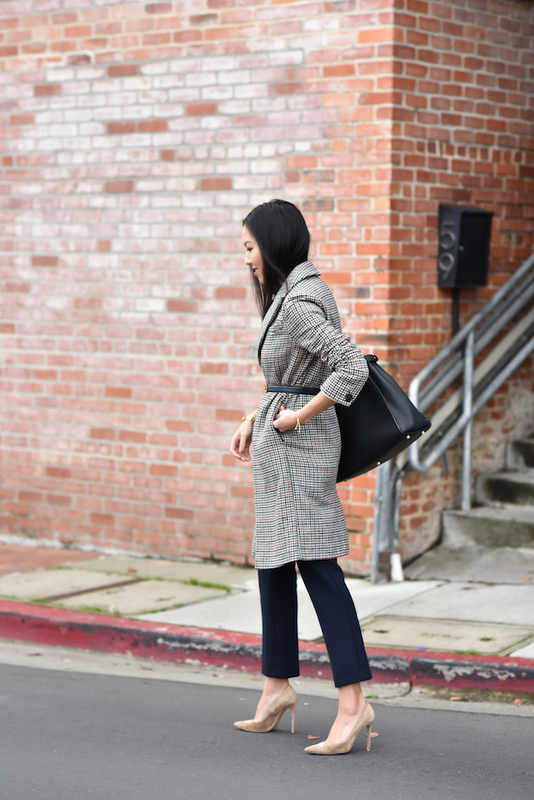 So elegant with the checked coat! Always a lovely look! Love ❤️ it! Loved this little run-down of your day! 🙂 It’s always so easy to take a closer look at your days! And ohh, I love Acuvue contacts! They’re sooo comfortable! Definitely have to check these new ones out! 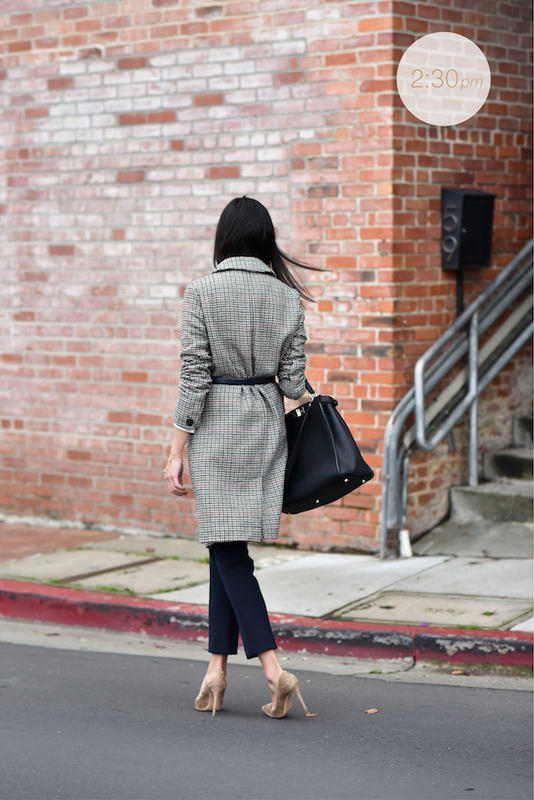 LOVE the coat and how you belted it! Love your house decor. 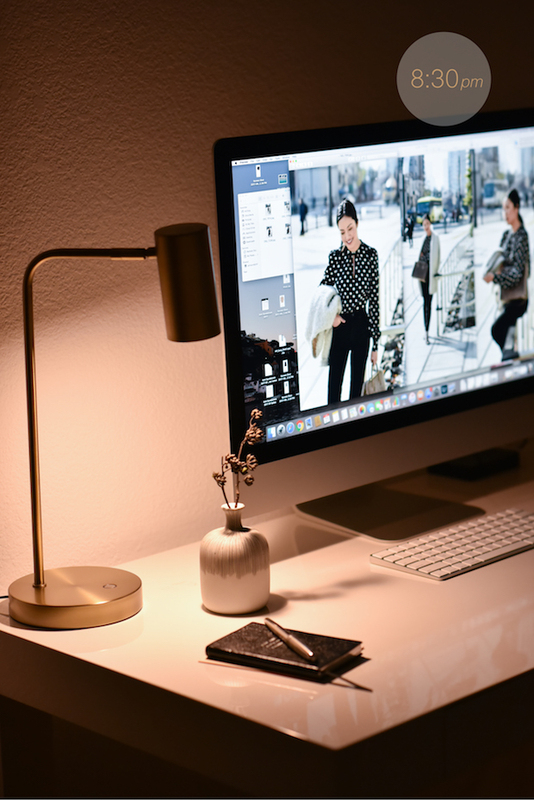 Where are those vases on your desk from? I’ve worn contacts since I was in like 7th grade too! I use Acuve but the daily ones — they’re so comfy and I love how sanitary they are!